This volume is divided into three sections. 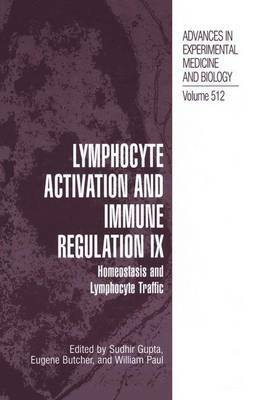 Section I deals with factors that regulate the development and maturation of T cells and B cells and lymphocyte traffic. The significance of C-kit, Bcl-6, IL-7, and Vav in the development of T and B lymphocytes is discussed. A role of lymphotoxins and VAP-I in trafficking of leucocytes is reviewed. Finally, the trafficking and homing characteristics of T cell and B cell subsets, and the regulation of these processes during the immune response, is presented. Section II discusses various aspects of naive and memory T cell biology, including clonal expansion, reprogramming of genes including those encoding cytokines and cytotoxic granules, changes in the expression of cell surface proteins involved in cell-cell adhesion, homing of naive and memory T cells, the role of MHC and cytokines in the maintenance of naive and memory T cells, and the characterization and differentiation of virus-specific memory T cell heterogeneity in mice and humans. Novel methods of visualization of immune cells and immune systems are reviewed in Section III.